Woooowee! We are having some fun! This party is just a-rockin’! 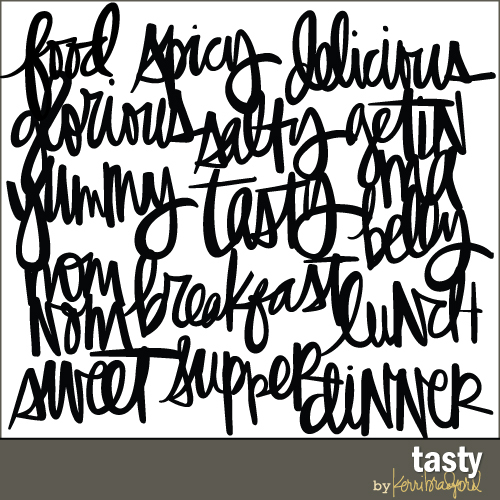 If you haven’t entered for a chance to win some yummy gift cards, do that in yesterday’s post. I gave my girls the assignment to think outside the birthday box for this party. I gave them the challenge of making a fun gift or packaging or cards or anything that would be awesome for a birthday for that special someone in your life. Layle asked if I could make a phrase for her project: Today Is A Good Day To Have A Good Day. I, of course, was happy to oblige…because look what she made! You know when you see something and it spurs an idea and you just can’t get it out of your head? That’s this project! 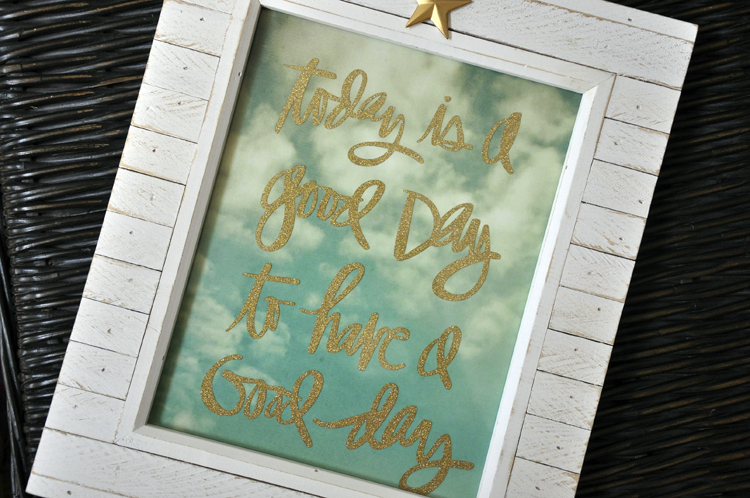 A few months ago I was watching a show on HGTV and I saw the saying ‘Today is a Good Day to Have a Good Day’ on a piece of wall art. That was the first time I’d seen/heard the saying; I love the meaning of it – it’s up to you to decide what kind of day you’re going to have, every day. 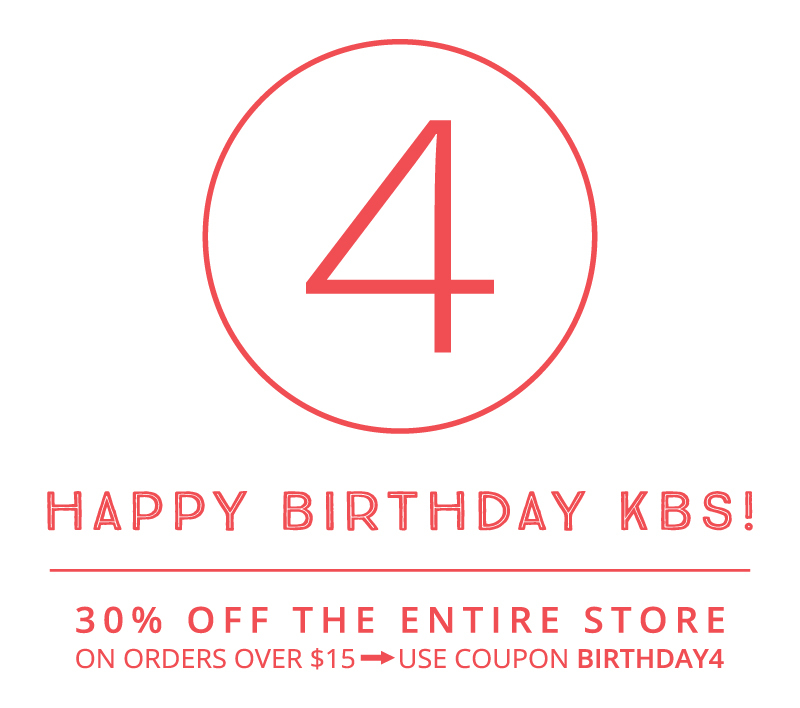 I emailed Kerri right away and asked if she would create a cut file with that saying and voila, she did! Just love that about Miss Kerri :) Anyhoo, I knew I wanted to take that saying and frame it. I picked up the white frame at Michaels and used that lovely piece of sky patterned paper (by Simple Stories) for the background. I cut the saying out of gold glitter cardstock, adhered to the paper and inserted it behind the glass. I thought the frame needed a little something, so I added the metal gold heart to the top. Quick and easy project, but super meaningful. 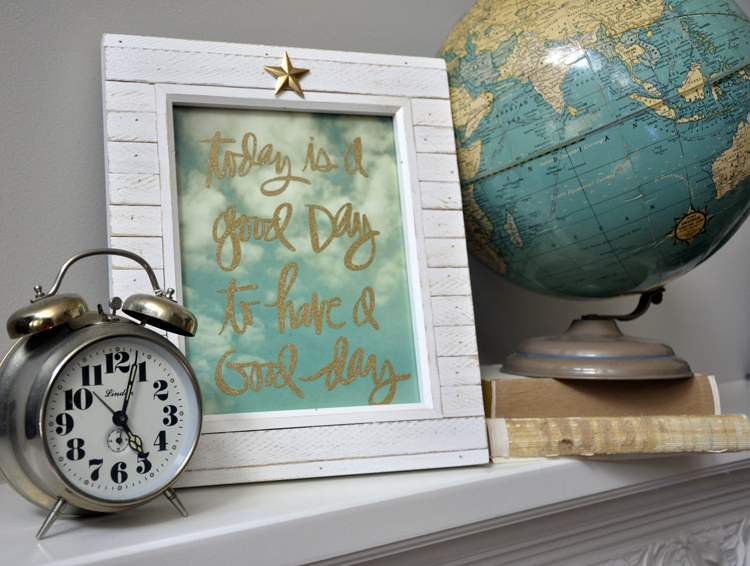 This now sits front and center in our family room to remind me, and hopefully my husband and our 2 teenage boys, that it’s up to you to make today a good day! Got more great stuff comin’….all week long, so stay tuned! Definitely an awesome project all around, from the design of the sentiment to the papers and elements that Layle chose! Love it! Thanks so much for sharing! This is definitely a gift-worthy project!